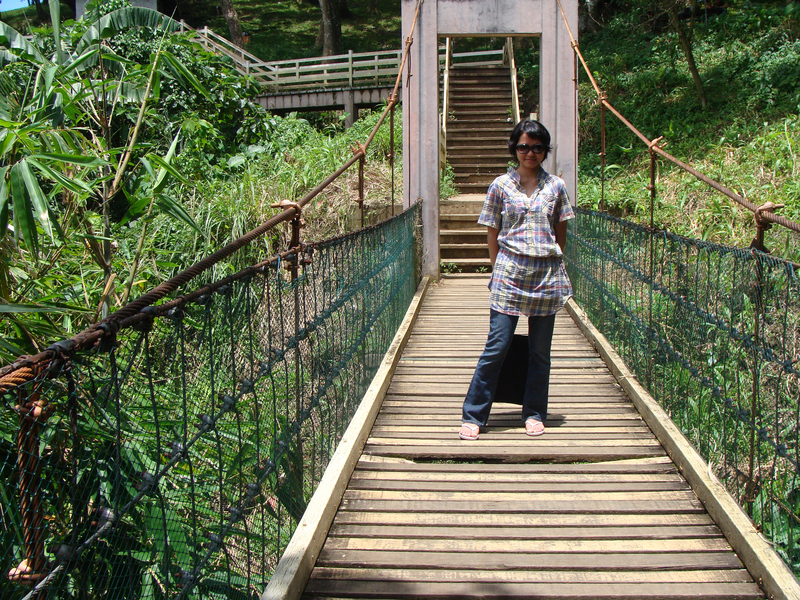 A few months ago, my family and extended family went to Lamtoc, Negros Oriental Philippines. These are some of the photos I took during our vacation. My grandparents’ house in the background | I don’t like this picture, but my gut told me to post it because there’s something about it that draws me to it. What do you think? My cousin | It’s a common photo, but there’s just something about a person playing a guitar in photos. My uncle | I didn’t change it to black and white because I didn’t want to waste the colours. The electric fan kind of ruins the shot for me, but maybe that’s what makes it beautiful. My uncle | I originally didn’t want to change it to black and white, but I had to edit it because it just looks right when it’s black and white. My cousin | I love how my cousin’s head is between the two coconut trees. But there’s also something off with the angle–I regret not putting him in the centre of the photo. Children playing in the park in the town centre | Another personal favourite. It shows the socio-economic status in the Philippines. Children hanging out in trees | Another personal favourite. She was so confident in front of the camera that I knew I had to take her photo. My cousin and grandfather | I increased the brightness to emphasize the colours. Children hanging out and playing in the tree | Another personal favourite. 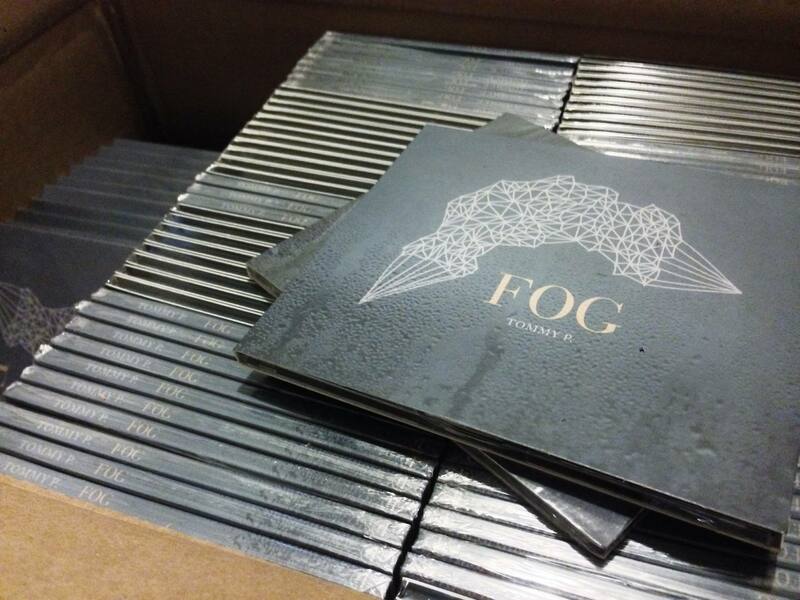 It’s appropriate for Tommy P. to name his debut album Fog when the record is inspired by San Francisco City. The singer and songwriter started playing music since he was 16 years old. Due to his love of music, he and his friends founded 11th Avenue Records, an independent pop/folk/rock record label that supports and promotes independent artists. Tommy P. grew up in Milpitas, California where he learned to play the drums, guitar, keyboard, and bass. He moved to San Francisco and started collaborating and performing with other artists in the community. Before his debut album, he released an EP and a compilation album. His first EP, Nowhere Now, was released in February 2013. In April 2013, he and a few friends released There Is A Light, a compilation album for Sing Out of Darkness Benefit, a benefit concert for the American Foundation of Suicide Prevention (AFSP) in San Francisco. 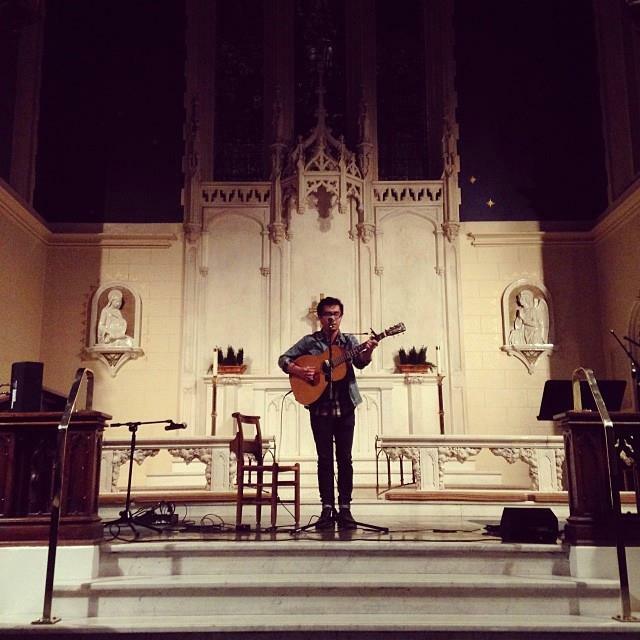 Nowhere Now is indie, acoustic, and homey. I can imagine myself listening to this song while driving on a Sunday or going on a roadtrip. It’s like watching a montage on a movie and the record plays in the background. It’s comfortable and it’s feel-good music. Fog brings out emotions of being in San Francisco even if you’ve never been there. It starts off quietly, setting the mood with Tommy’s deep voice and an acoustic guitar. Then it becomes grander, like you’re being transported to a new world. The lovely violin piece doesn’t hurt and complements the dream-like music. It dies down gradually, and then catchy “Gravity” plays next. “Farallon Island” is the only track named after an actual place in San Francisco. “Farallon Island” sounds festive and makes you feel like you’re actually in Farallon Island, when he’s really reminiscing about the island. The acoustic, drums, violin, and trumpet really set the mood in the entire album. It’s cliché, but I see this record playing as the rain heavily pours down and you can see raindrops on the glass on a dark and cold night. Tommy P. was able to portray the feelings of living in San Francisco through his sincere lyrics and honest emotions. In this debut, Tommy P. has shown that he tries different things. After listening to Nowhere Now and Fog, I know he’ll continue to surprise the audience with new sounds and keep his sincerity. Catch Tommy P. live! If you’re in San Francisco he’s performing September 20th in Bazaar Cafe with The Not Marys. You can also visit his website and Facebook page for updates, and follow him in soundcloud for new music. I was reading Meg Crane’s zine when I saw her ad calling for submissions for her zine’s April/May 2014 issue. The topic was about travelling and journeys. It was something I could completely relate to, and it was something that I wanted to share to everyone. And because I would rather write my story than talk about it, I signed up to write it. I had a difficult time writing it because I cried a few times when I was writing it. When I’m writing, I usually write a few sentences then read them again. So every time I reread them or if the idea really resonated to me, I tear up. Even after reading it for this post, I teared up a little bit. When you’re a minority, it feels completely different. It changes your world and your view about the world. You feel like you don’t belong. You feel like they’re giving you disgusted looks. You feel like they’re judging you. You feel like they’re being condescending. You feel like they’re not treating you right just because you’re different. Your self-esteem goes all the way down until you lose the self-confidence you’ve built your entire life. It’s hard. It’s really hard. But everything will be alright. You will only fully understand how it feels to be discriminated when you have been discriminated. I’ve accepted that I will never become white. I have learned to embrace my identity. It took me six years to figure this out and I think I’m still in that journey. The journey of finding and accepting myself. Before coming here, I thought it was going to be easy and simple. All I had to do was get my education and get a job to help myself and my parents. I was 19 then. I was young. I was naive. I have learned so much in the past six years that sometimes I find it hard to believe that I have survived in Canada this long. It takes courage to leave your past and start a new life. My story doesn’t end here. There’s a reason why I moved here, so I have to know what that is. Life is full of ups and downs. There are times when you’re at the top, and there are times when you’re at the bottom. There’s nothing wrong with starting over. Leaving your past and learning from your mistakes make you a better and stronger person. So whatever it is that you’re going through now, don’t give up. Don’t lose hope. Grab a copy of Cockroach zine’s April/May 2014 issue to know more about my story and to read other people’s stories about their own journeys. Email them at cockroachzine@gmail.com, follow them on Twitter @cockroachzine, or like them on Facebook. 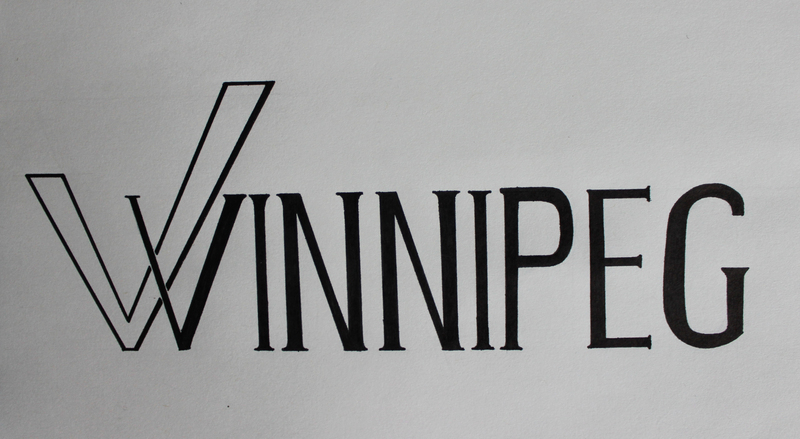 You can also grab a copy on Etsy or at Winnipeg Makers & Market. You know those nights when you just want to listen to music and get lost in the lyrics? How about those nights when you’re feeling in love, or feeling out of love, and you just want to curl up in bed while listening to music? Wesley Woo is one of those artists you listen to on those nights. Wesley’s debut album, Do Re Mi, is coming out this week. Born and raised in San Francisco, California, the singer/songwriter is an upcoming artist in SF’s music scene. In 2013, the San Francisco native won “Best Song of the Year” at the West Coast Songwriters SF chapter. He has performed in several shows such as the Brick and Mortar, RAMA GO!Ohana Showcase, and Woodshed Showcase. I completely support Asian Americans making a name for themselves in their hometown. As a minority myself, I understand how difficult it is to live in dominant society as a minority. So when I had the chance to listen to his album before the launch, I grabbed it. At the RAMA GO!Ohana showcase at Solespace in Oakland. 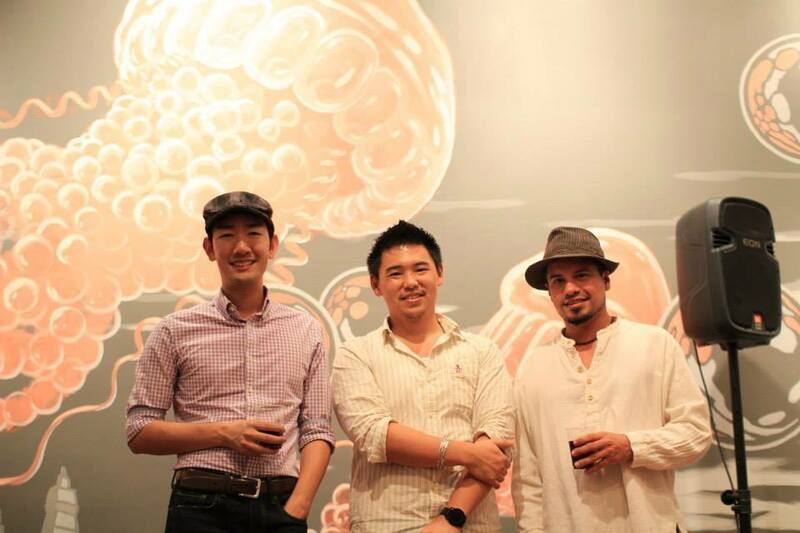 Left to right: Rei Otsuka, Wesley Woo, and Miguel Becerra. photography by Jason Lor. Whenever I listen to songs for the first time, I make sure that I really listen. I don’t do my homework, I don’t organize my planner, and I don’t clean my room. In other words, I don’t multitask. I like focusing on this one single task: listen to music, internalize the music, understand the lyrics, and appreciate the arrangement. That’s where you see the beauty of the songs. The first time I listened to the album, it took me a few songs to get in the moment. The second time I listened to it, that’s when I knew that I’ll keep coming back to listen to this album. I know it’s not right to pick favourites, but I can’t help it. But just because I have favourites doesn’t mean that I won’t listen to the entire album. So my personal favourites are “Lost in You”, “Fall Again”, and “Half Past Fine”. “Lost in You” is one of those songs where you just want to close your eyes and reminisce as you listen to Wesley’s voice. His single “Stay” comes second place in that category. “Fall Again” is a good album opener because it starts off slow, and then turns upbeat to introduce the next eight tracks. It took me a few times listening to “Half Past Fine” because it didn’t exactly had that effect on me that I was looking for. The lyrics really resonate though, especially when you’re at a point in your life where you feel like the universe is against you. It’s a good pick-me-up song. If you’re in SF or somewhere near the SF area, go to his album launch this Friday, April 4th, at The Lost Church, San Francisco. 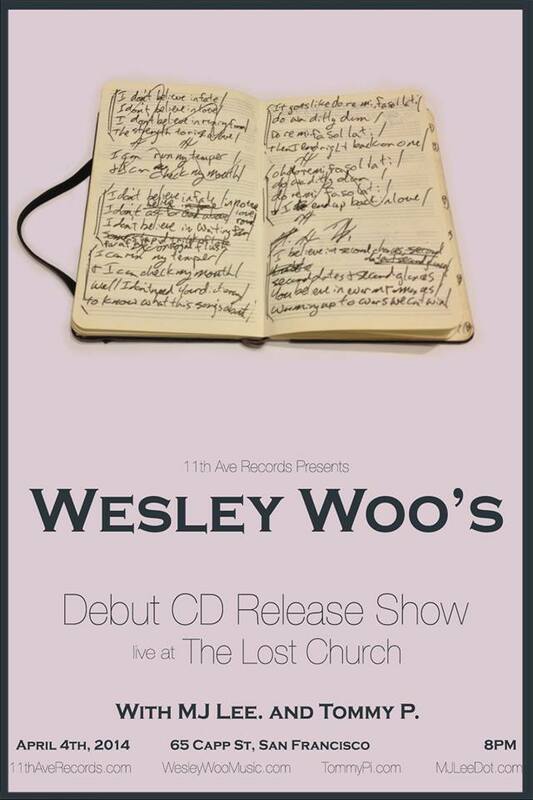 To get your advanced tickets at Wesley Woo’s debut album launch, get your advance tickets here. Visit his website, Wesley Woo Music, and like his Facebook page, Wesley Woo Music, for show dates and to buy his album. Meanwhile, listen to his single, “Stay”, to get a preview of the album.